Haley has always lived in the shadows of her identical twin Kenzie. Moving on to different colleges, Haley decides to show people who she is and who she wants to be. Setting her sites on Liam, the boy she’s always wanted, she takes a chance that can cost her everything. Liam Masters, the football jock known by many, is cocky, stubborn, and gorgeous. Liam has always gotten what he’s wanted, that is until he finds out the girl he’s known forever uses him. Torn and shattered, he loses it deciding to cause havoc to her life. Quinn, Haley’s best friend and roommate at college has seen and heard everything. What she didn’t expect was for Liam to actually show his true feelings for Haley. 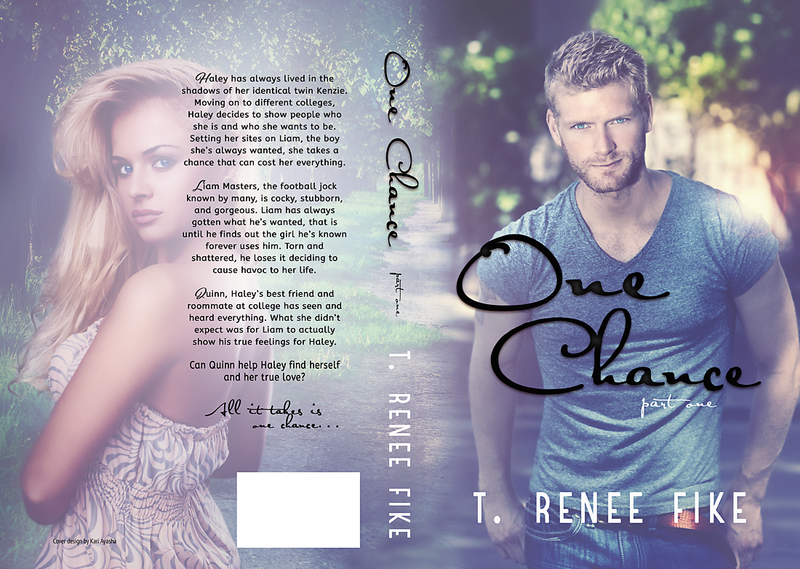 Can Quinn help Haley find herself and her true love? All it takes is one chance. (Will be continued into One More Chance, Part 2).